Makirina Wati’s passion for sewing and owning her own tailoring business has been her lifetime goal ever since she started working. Now she is able to work towards her goal after graduating from the Makoi Women’s Vocational Training Centre in Nasinu with a Certificate in Sewing. The soft-spoken Ms Wati, 42, vividly recalls when she lost her job at a garment factory during the 2000 civilian coup. “After I got laid-off from the garment factory and staying home for a couple of years, I decided to go and work at Denarau,” she said. “I resigned later in 2005 then I became motivated to start a business to earn income for my family. Wati said she was thankful after receiving a letter from the Housing Assistance and Relief Trust [HART], a charitable organisation that provides shelter for the destitutes in Fiji, to study at the vocational centre. “I have learned a lot in this institution. When I look back at while being employed in the garment factory, I only knew how to sew pieces like the labels and collars. “But when I started studying here, I learned how to layout the pattern, cutting it my own self and I start sewing,” she said. Wati said she had sewn a few outfits including uniforms, dresses, pillow cases, pants and shirts putting into practice what she had learned from the vocational centre. “I have even sewn a shirt which my husband is fond of wearing,” she laughed. Ms Wati said her new found skills would help her husband, who is also working, with daily expenses. “With the wages earned nowadays comes with deductions and expenses, and to add to that the high cost of goods,” she said. 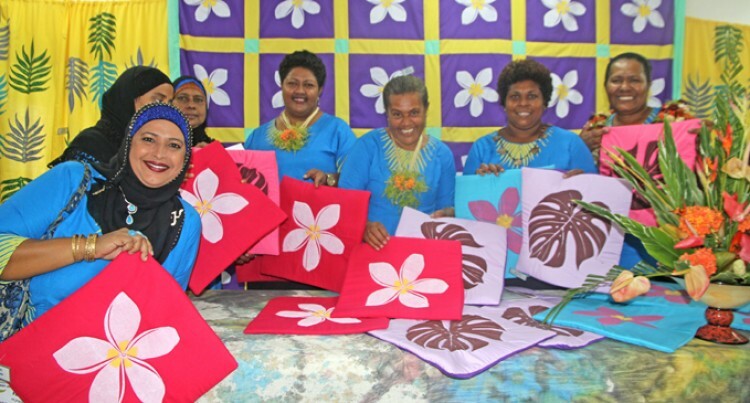 The Makoi Women’s Vocational Training Centre was opened last year through a memorandum of agreement between the Ministry of Women and Fiji Muslim Women’s League. It provides skills training and economic empowerment opportunities for women from all walks of life.